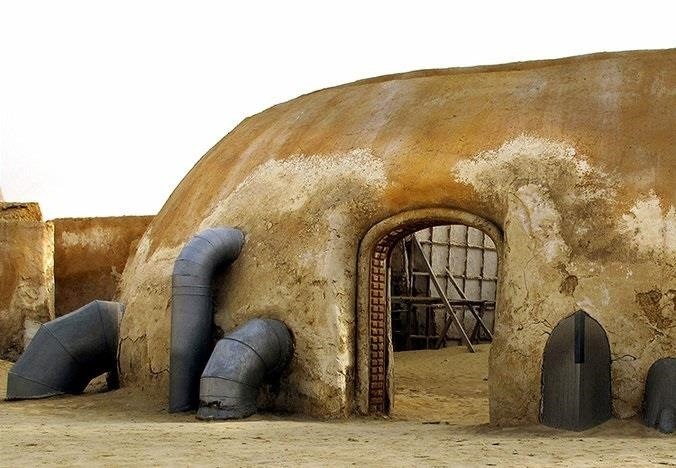 Just like the recently rediscovered Star Wars ruins in the Tunisian desert, there are tons of hidden treasures in your Samsung Galaxy Note 2 just waiting to be unearthed. 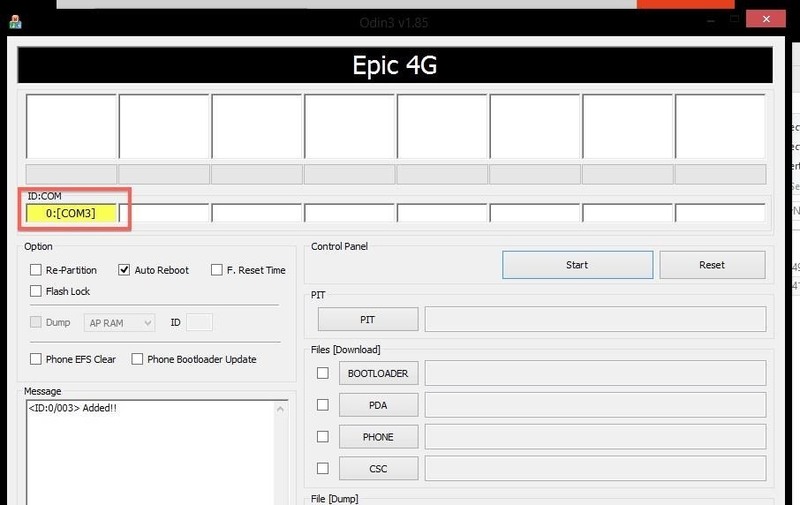 Rooting enables you to install custom ROMs, exclusive features from other devices, add Wi-Fi tethering, overclock the CPU for faster speed, and many other customizations. In this guide, I'll be showing you how to root your Note 2 using a Windows computer, so you can begin the adventure that awaits. You can find your model number either under the battery or in "About Device" at the bottom of the "Settings" menu. 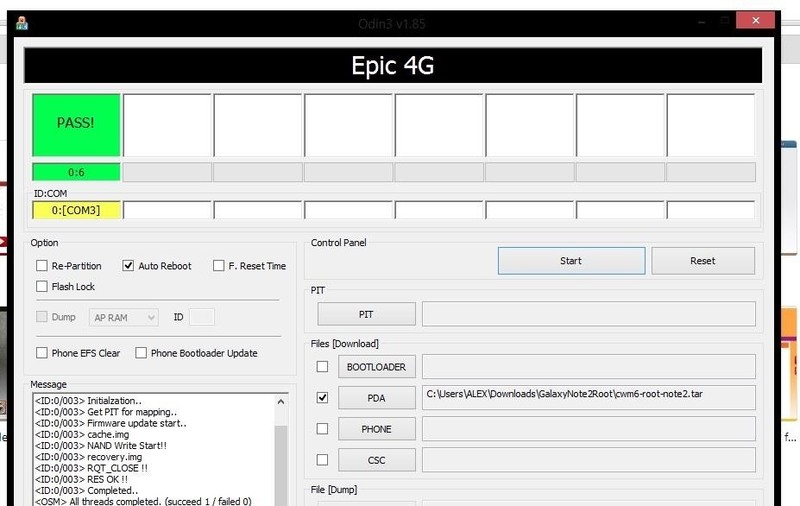 If your device is not listed above, do not use this rooting method. There's a good chance you'll brick it. You should also make sure to backup all your data before rooting, as there's always a possibility you'll lose it. First, you'll need to put your device into download mode. Turn it off, then hold the Volume Down + Home + Power buttons until you see the screen below. Press the Volume Up button to continue. This will take you to ODIN download mode. Once you see the "Downloading..." screen, connect your Note 2 to your Windows computer via USB cable. Note: Your device is not actually downloading anything at this point. This just means it has successfully entered download mode. The next several steps will take place on your computer. If you don't already have it, download and install the Samsung USB Drivers. 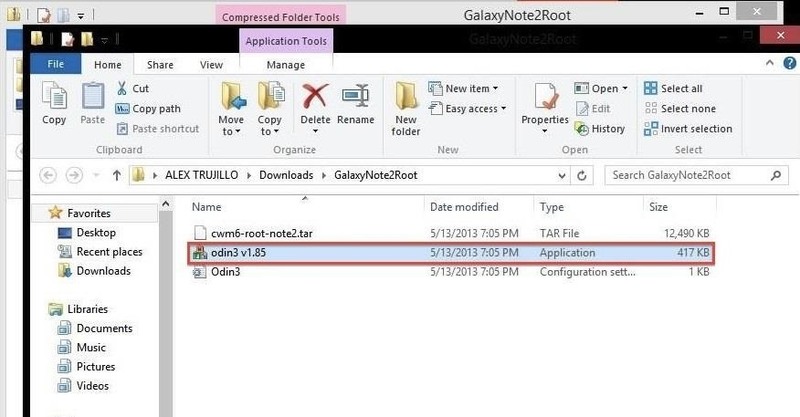 Now, download and unzip the GalaxyNote2Root.zip file. Open the ODIN program by double-clicking the odin3 v1.85.exe application file. In the ODIN program, you should see a yellow ID:COM box with a random number in it. If for some reason you don't see it, make sure your Samsung USB drivers are installed correctly and unplug your Note 2, then plug it back into your computer. 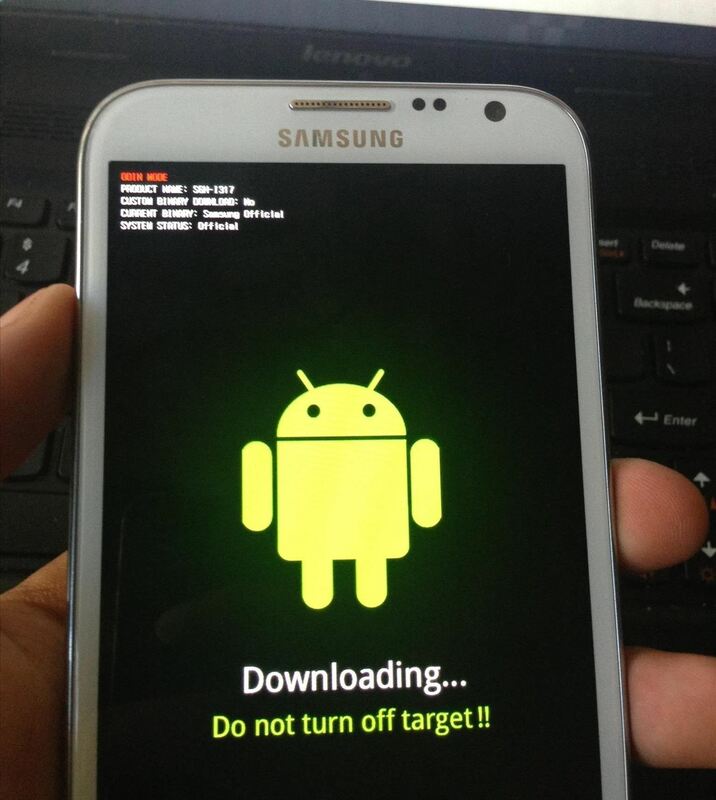 Without changing any other settings, click on PDA under Files [Download] and find the cwm6-root-note2.tar. file. Select it and click on Start. From here, ODIN will flash the custom CWM Recovery. If it's successful, a green "PASS!" box will appear. When it finishes, your device will boot into ClockworkMod (CWM) Recovery one time in order to install the SuperUser app and its binaries. Then, reboot again. Once your device finishes rebooting, you should find a new application called called SuperSU. Your Galaxy Note 2 is now rooted and ready for you to explore. Now, you can customize it with any ROM, kernel or mod you want, and finally have access to all those root-only apps in the Play Store. Be sure to share your favorites with us in the comments below. Whats the best ROM for the Note 2? That's usually subjective, but the Jedi X ROM is one of the more popular ones. If you want, check out this site, which shows you some of the top Note 2 ROMS. 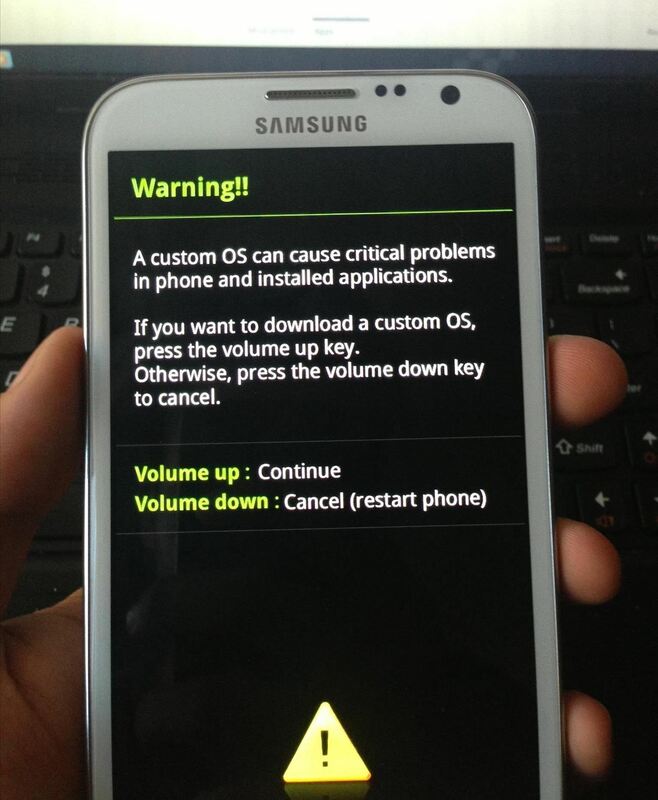 How can you un-root your Note 2 if you want to go back to what you had? I follwed the directions and evrything was good until the second boot up . now all the phone does is sit at the cyanogenmod logo. power button wil not work and it will not boot to screen. 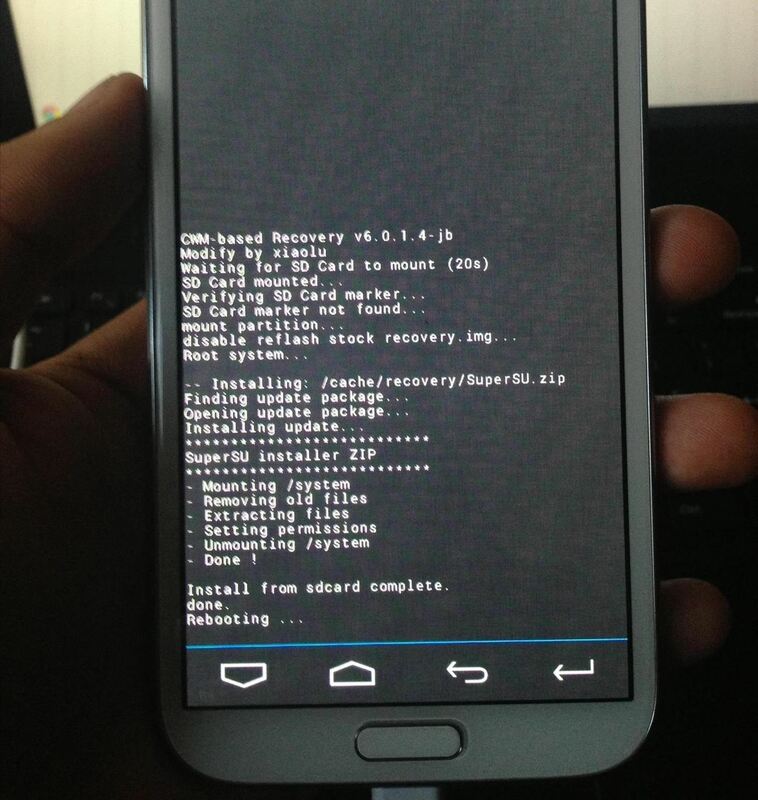 How to unroot note 2 ??? Where can I find directions to root my verizon sch-i605 G-Note 2! does rooting deletes everything on the phone ??? pictures, music, videos and apps ??? o que devo fazer para atualizar meu samsung ? Is this post applicable on 4.3 firmware on my note2?or this is for 4.1.2 only?thank you. I am using Note 2 and i followed all the above steps...In Odin it showed Green Pass 0.7....but my phone didn't boot into ClockworkMod (CWM) Recovery. 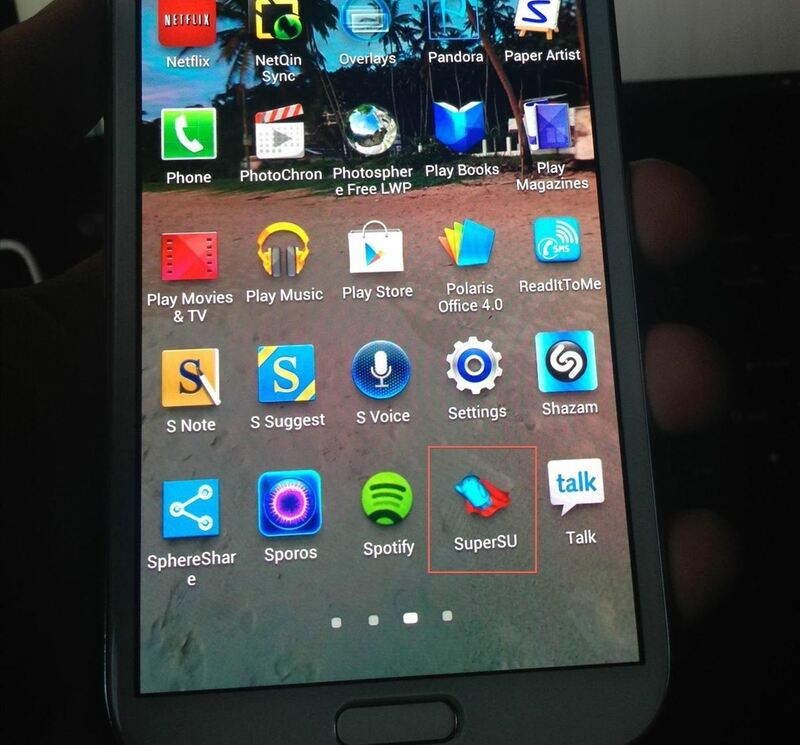 It gets blinked and restarted..I haved checked the superSU app and it is showed as not properly rooted. Please help me in this regard. "When it finishes, your device will boot into ClockworkMod (CWM) Recovery one time in order to install the SuperUser app and its binaries. Then, reboot again." My Note II is stuck on welcome screen - Can anyone help? so I did the PDA thingy, clicked "start"... it extracted stuff in the message box, but it ultimately failed... what do I do now?